Cairo-based HitchHiker has raised $200,000 for its international P2P shipping platform, the startup announced today. The investment came from Dubai-based angel investors. 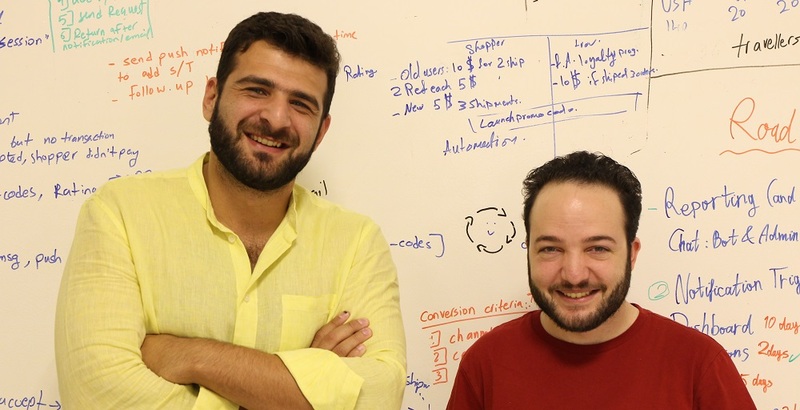 Founded last year by Hussein Mahmoud El-Terawy and Hassan Selim, HitchHiker likes to call itself a social network (available as an Android and iOS app) that connects people wanting to ship something from Point A to Point B internationally with someone who is traveling from/to the same place and has some extra space in their luggage. The travelers who act as courier can also buy something on behalf of shoppers available and deliver it to them. So, for example, if you’re based in Alexandria and you’re looking for a specific type of medicine that’s only available in New York City and you need it within this week – HitchHiker should be able to find you someone who has a flight to Egypt in the next few days and can deliver it to you. For travelers, this means extra money and for shoppers – it could mean getting something cheaper than buying it local or online, or getting it quicker than buying it through other means would’ve taken. The service obviously could also be used to send something that you already possess. Since launching, HitchHiker has helped travelers earn almost $300,000 for delivering items to shoppers worldwide. Its apps that have been downloaded over 50,000 times have processed more than 20,000 orders until today. The startup that was bootstrapped for almost 18 months before raising this round, will use the investment for marketing and building partnerships, its co-founder and CEO told MENAbytes. They also plan to expand their 10-member team and add at least four new members in the coming few months. HitchHiker makes money by charging the shopper $5 for every transaction.